The car needed more work than I thought (big surprise). I seriously overpaid, as it turned out. This car had been wrecked and repaired, properly I thought. I was wrong. This car ate tires like they were free. 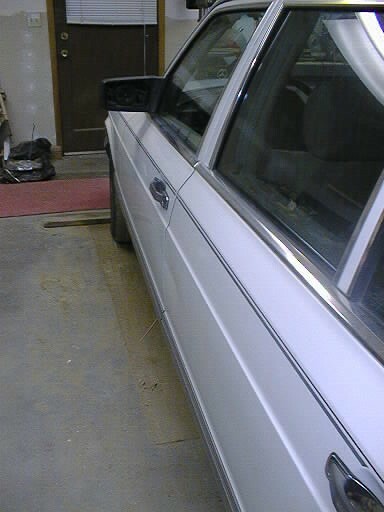 The rear-end alignment (camber) was seriously wrong on one side, the problem was visible if you looked for it. (Oh, and the wheel bearing was shot on the other side.) Once I had the car home I noticed that the wheel in the spare well was broken! This wasn't noticable unless you actually took it out. The dealership estimate was over $5k to fix it correctly, which involved a new trailing arm, frame stretching, etc. I cheaped out and bought a boneyard subframe assembly for $350, and paid something like $200 to a guy to install it. Alignment (and bearings) were fine after this. And that's just one example of shoddy PO work. The trunk leaked water like a sieve. Nearly everything that could leak did. I think we were spared rust holes in sheet metal, but the rest we had. The central locking was out, for example. How it got so screwed up is a mystery. The fuse was always out, this turned out to be the trunk lamp miswired so that it blew the fuse every time you opened the trunk. (Signs of incompetent body work.) The hose to the trunk actuator was actually tucked into the sunroof drain hose on the right side. Said hose curling upwards instead of going down through a (no longer there) hole to the ground. 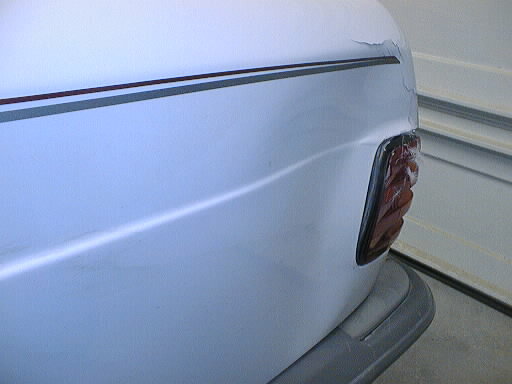 (Signs of really incompetent body work. The water that was in the lock system took awhile to get out of there, I had freeze-up problems the next winter, even though I had blown out the system with compressed air.) And the vacuum locking pump itself had a broken coupling between the motor and the pump. I fixed this, as a new pump is expensive. The reading lamps for the rear seats were from an earlier SD. They didn't fit the holes, and were in fact glued in place. How does this crap happen? We really like the car, always have. But it sure was a lot of trouble to put right. It was a sad day when it got rear-ended again, this time on our watch. No injuries, and in fact my wife wasn't even sure that she had been hit. 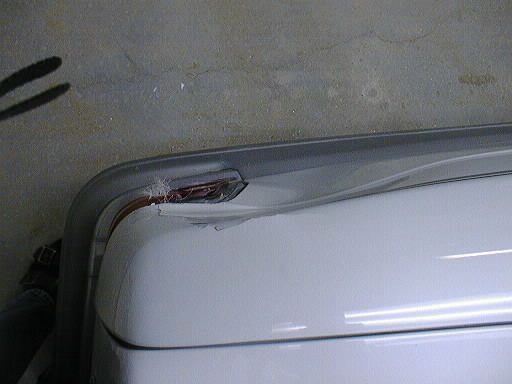 But the damage was extensive, in part probably due to the shoddy repairs from last time. The car was on the cusp of being totaled, and I was even shopping for another one, but its interior condition swayed the insurance adjustor towards having it repaired.